Charlie Chaplin : "Sing a Song" and "With You, Dear, in Bombay"
"Sing a Song" and "With You, Dear, in Bombay"
These tunes were recorded in 1925 by the Abe Lyman orchestra. 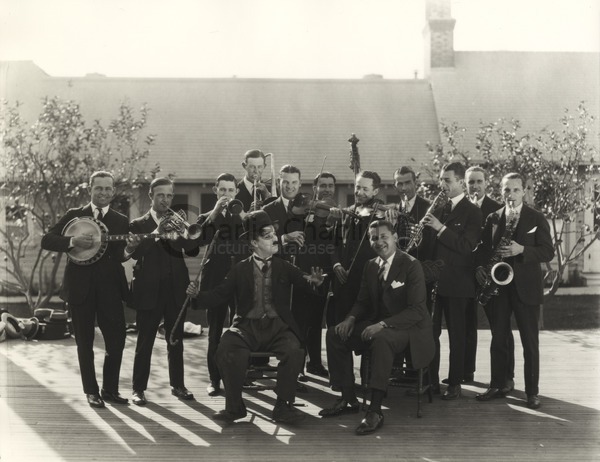 As a publicity stunt, Chaplin conducted the band during the recording session. It coincided with the release of the film The Gold Rush in 1925. The songs may have been played in cinemas before the film, or the sheet music to the songs used during the film by the cinema musicians to accompany certain scenes.